I'm a chemist by training and I always found polymer physics to be very hard. But because polymer physics is so useful I eventually learned enough to be able to apply it to many situations such as in polymer formulations, coatings and adhesion. By implementing some of the key ideas in app format I hope you will be able to more freely use polymer physics in your own work. One value that appears a lot in this section is the (Flory-Huggins) χ (Chi) parameter. This is a single number which describes the relative strengths of self- and other- interactions between polymer and solvent or polymer and polymer. If neither part is aware of any difference between interactions then χ=0. For solvents, when χ=0.5 this is the "theta" state, a tipping point between OK and not OK. 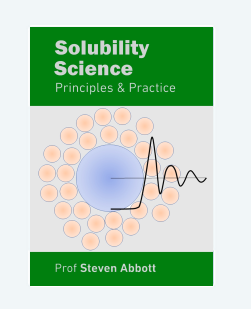 When χ>0.5 then things rapidly go wrong in terms of solubility. These rather vague descriptions will make more sense when you see the effect of χ in the various apps.